Treat yourself or a loved one this Valentine’s day. Our package starts with an Aroma Back, Neck and Shoulder massage to melt away any tension, followed by our Discovery Facial leaving you with glowing skin and to finish we will shape your nails to perfection and paint them with one of our Jessica GELeration gel polishes. Instantly dry with a high gloss shine and over 200 colours to choose from! 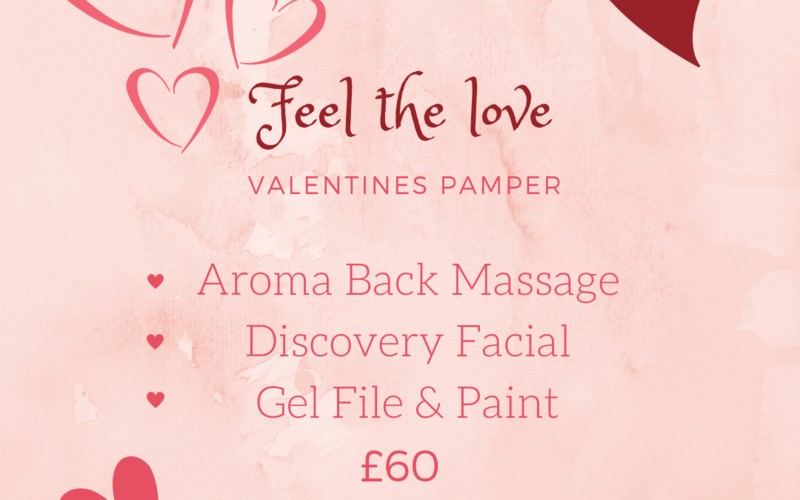 Our Valentine’s package is available throughout February and can be purchased as a gift voucher.